ROSA, an experimental roll-out solar array was recently jettisoned from the ISS in orbit after failing to properly retract. NASA has been testing its new solar array on the ISS for a week. After encountering some difficulties to roll it back, the solar panel was jettisoned. NASA has been working on developing a flexible solar array for years, one that could simplify powering propulsion systems in space. The ISS is an ideal place to test that. To that end, NASA’s Space Technology Mission Directorate has contracted Deployable Space Systems, Inc. (DSS), a company specialized in deployable technologies for space applications to work on ROSA. ROSA, or the Roll Out Solar Array, is an experimental, spaceworthy flexible solar panel that can unfold and fold back on itself like an accordion. The Air Force Research Laboratory also collaborated with SpaceX by conducting the ROSA test flight to the ISS aboard a Dragon series rocket. Sunday, June 18, the solar array arrived at the ISS and NASA began testing the experimental array. For an entire week, ROSA was fully deployed at the end of the ISS’s robotic arm. However, on Sunday, June 25th, when engineers tried to retract the solar array back inside the Dragon rocket’s trunk, their attempts failed. The next day, the ISS Mission Management Team decided to follow the jettison procedure, which was designed during the development process. ROSA was let loose from the tip of the robotic arm into space. NASA, which published a video of the release, said the solar array would present no risk whether to the ISS or future visiting missions. Had NASA’s engineers been able to successfully roll it back into the rocket’s trunk, ROSA still wouldn’t have made it. The SpaceX Dragon rocket will splash down in the ocean next Sunday, but its trunk will be burnt up as the rocket re-enters the Earth’s atmosphere. ROSA is still an experimental system and this is its first demo in live conditions. Once all the technical aspects are smoothed out, NASA hopes to use ROSA as one of the potential solutions to deliver solar power to advanced propulsion spacecraft during deep space missions. 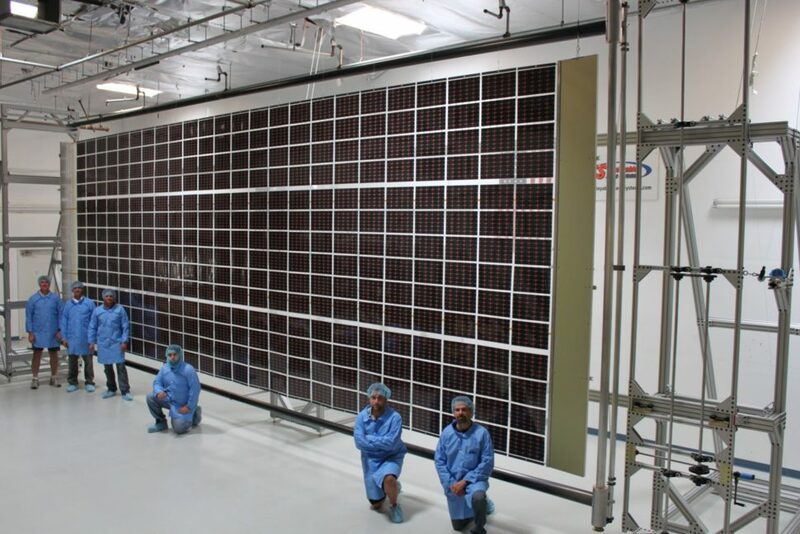 NASA is also eyeing the potential future commercial applications of its roll-out solar array, as it has also partnered (via DSS) with Space Systems Loral (SSL), a manufacturer of commercial satellites, to work ROSA’s technology into its products.